With the rise of blogging more and more SEO Link building campaigns have come to rely on guest posting on other sites as a means of generating the kind of trusted editorial links which the search engines love. So beyond the basic advice to try guest posting, what can you do to try and ensure that you guest post campaign is successful? Below are six pieces of advice which have helped me in my guest posting efforts. One of the toughest challenges in building links with guest posts is finding the right people to approach. Many people who blog see it as a unique personal publishing platform, so the idea of allowing someone else to publish on their site doesn’t make sense. You’re wasting both your time approaching these bloggers, so try and make yourself more efficient by contact people who will be receptive to your approach. I do this by actively seeking out people who have published guest posts in the past, as there’s a strong likelihood they’ll do the same again in the future.The easiest way to do this is by setting up a Google Alert for a search term like “your keyword” “guest post”. Every time Google find the words guest post and your keywords on a page you get an email. While the Google Alert above does work, it can often create as much noise as signal. So how can you improve upon this? I’ve had some good success with two particular Google searches using their advanced operators work much better. The first is inurl:category/guest your keyword this will find all the blog posts which have been categorised in a category called guest and that also contain the keyword relevant to the site your building links to. This works amazingly well but relies on the blogger putting all their guest posts in a separate category, which isn’t always the case. For these exceptions there’s another advanced search query you can run. Between these two search queries you’ll find the hottest prospects for guest posts in any keyword sector. While I try my hardest to keep on top of all my emails with my own rough approximation of Inbox Zero, if you really want to get in touch with me a well placed message on Twitter, Facebook or LinkedIn normally does the trick. And I’m not alone, in that, I tend to keep a closer eye on my social accounts rather than my inbox. You can use this to your advantage in guest posting, consider tracking down the blogger’s social accounts. Good old fashioned detective work normally comes up trumps but tools like Qwerly can help speed up that process. Not only does this increase success, as people are more likely to see your request, but also because the brevity of the messages makes it easier to build a rapport. When reaching out you’re asking someone to trust you, unless you’ve built that trust up over a period of months or years you’re going to need to get your persuasive hat on. A bit of healthy social proof can help here. Talk about previous blog posts you’ve written and mention how many re-tweets they’ve got, name-check bloggers you’ve worked with in the past, whatever you’ve got going in your favour try and get it across because it’ll improve your hit rate. Imagining you writing a guest post requires an imaginative leap, you can reduce that step by offering some suggested titles to your piece. This will not only show that you understand their audience but also make the process of saying yes much easier. But be careful if you’re pitching to too many people at once. What if two different bloggers get attached to the same title? – how are you’re going to handle who gets it. We’ve tried in a past sending across full blog posts right there in the request. In some-ways it works. There’s no imagination required at all, they can get the post live then and there. However this can’t be that efficient, you need to tailor your content to each blog, so what happens if they say no? Sure you can repurpose it, but that’s time and creativity that went to waste. Unless you want to really impress someone I tend to suggest sticking with just titles. In the process of writing your article there will be opportunities to link out from your post. Now your gut instinct might be to link to yourself, and there’s certainly some merit in this I think it’s always a good opportunity to butter a few people up. Who would you like to get on-side, maybe you could link to them? Who’s written a page which links to you, perhaps you could link to them? You get the idea, it’s an opportunity that benefits the blog your publishing, the site you’re building links to but it’s possible for some other people to see some value too. Guest posting I think is a great link building tactic, and one I think with a little bit of ingenuity can work wonders for everyone involved. HTTP Headers now supporting the Canonical Tag: More stuff to watch out for! Guest posting is not only a great link building tactic but it also is a great way to build your network. Even if you have a successful blog, not everybody reads it. 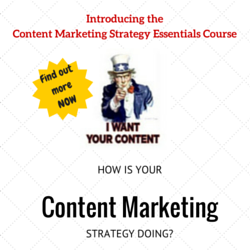 Guest posting can get your content in front of a new set of eyes. If they like what they see, they will start to follow you on social media and read your blog. You never know what kind of new opportunities can arise. Berita terbaru dan terkini bola Soccer dari Agen Bola Indo11 – Butuh waktu 14 tahun untuk Atletico Madrid kembali mengalahkan Real Madrid di La Liga. Di pekan ketujuh musim ini Los Colchoneros akhirnya memenuhi penantian mereka. Atletico menang 1-0 atas Madrid. Agen Bola Indo11 Terpercaya – Terakhir kali Atletico menang atas Madrid di kompetisi liga adalah pada 30 Oktober 1999 dengan skor 3-1 di Santiago Bernabeu. Gol tersebut dicetak oleh Jimmy Floyd Hasselbaink (dua gol) dan Jose Mari. Setelah itu, Atletico tidak mampu menang dan maksimal hanya mampu memaksakan hasil imbang sebanyak enam kali. Meski demikian, secara total pertemuan di kompetisi domestik, Madrid unggul dengan 29 kemenangan berbanding sembilan milik Atletico. Sembilan laga lain berakhir imbang.